Using the Report Tab look open questions "?" report and comments "!" report. These reports will list any data that you may want to edit again. See Editing and Adding Data for tips on uses of the "?" and "!" Tags. In the My Documents Folder create a folder named websites. 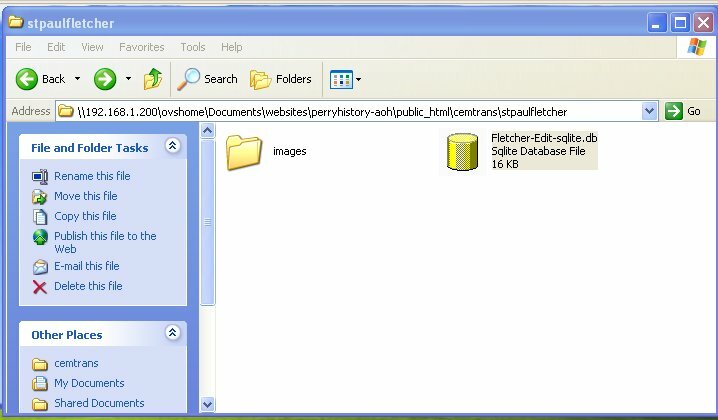 In the websites folder create a folder named SomeCemeteryName. In the SomeCemeteryName folder create a folder named images. In the websites folder create a folder named cemeteries. In the cemeteries folder create a folder named SomeCemeteryName1. In the SomeCemeteryName1 folder create a folder named images. In the cemeteries folder create a folder named SomeCemeteryName2. In the SomeCemeteryName2 folder create a folder named images. Copy the database to the SameCemetery Name Folder. In the cemetery's ALSPWO folder copy the images to the newly created images folder that was created in Step 3. Be certain that the images were copied and not moved. The images folder needs a copy because you may want to reduce their size for the website and you do not want to change the original images. Repeat this step for each cemetery. 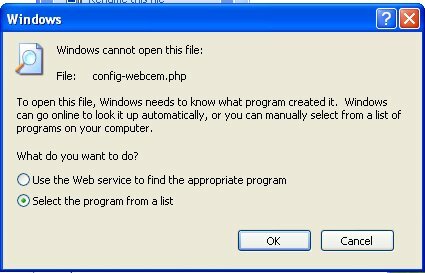 Open the config file double clicking on webcem.php. 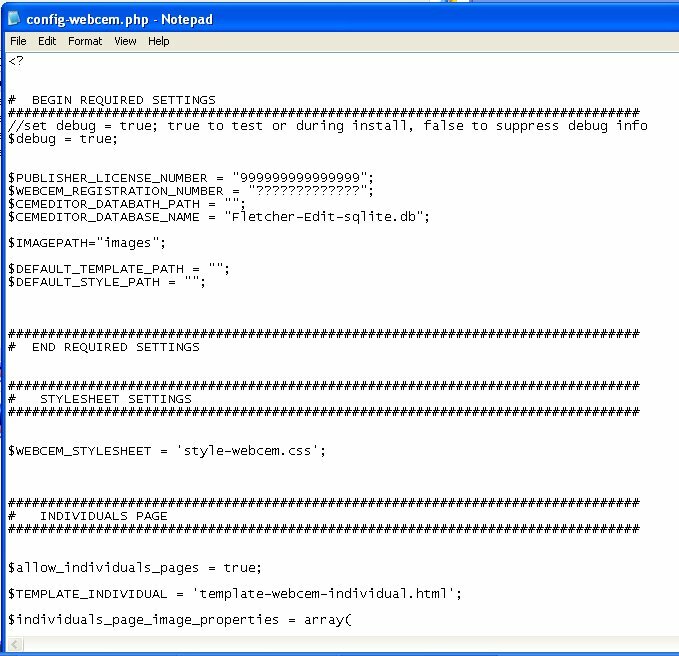 If the PC has never edited a php file before you may receive the message asking to associate a program with the file. 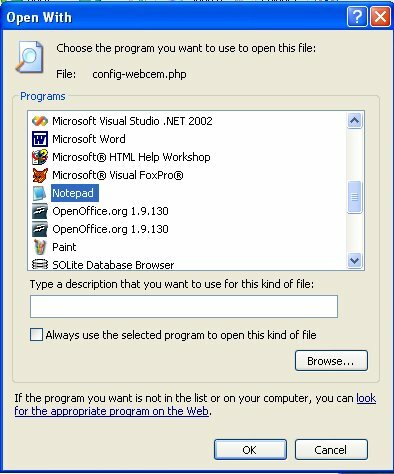 If the "Windows cannot open this file" message is displayed then choose "Select the program from a list" then click "OK"
Same name as the database in the same folder. In the examples above this will be "../settings/"
This is a list of the files, their extension, and where they need to be placed on the computer's directory/folder.